A really nice course, quite big. Moderately expensive, but fair value for money. 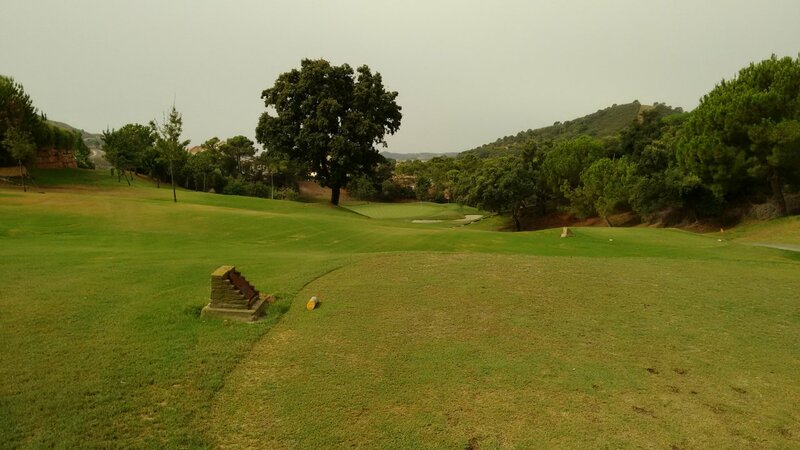 This is not an easy course for high-handicap golfers, but delightful for mid-handicap players and a good challenge for low-handicap players. Every hole is different. A wide range of changes in elevation, contours, dog-legs. In short, a really varied and interesting course. Not dull and repetitive at all. This is not an easy course to play if you do not know the course layout. There are a lot of blind shots, hazards not visible from the tees, sizes of greens not easy to read from distance etc. If you are playing this course for the first time, try to play with someone who knows the course so they can talk you through the subtle features on each hole. Greens excellent, green surrounds good. Not many bunkers and quite a few water hazards, but nothing stupidly tough. The bunkers high quality – well maintained and good sand unlike some courses on the Costa that use milled granite that packs down easily. Fairways fine, and wide enough to provide fair target off the tee. The club does not strictly enforce buggies sticking to buggy paths, so most fairways have quite a lot of buggy tracks along them. This is unlikely to affect the lie of your ball, but gives the fairways a bit of unnecessary wear and tear. There are fairly accurate carved wooden hole maps on each hole on the course. It does not feel like a championship course, but then courses aiming for that are often pretentious and aim upmarket by treating players in a condescending way. 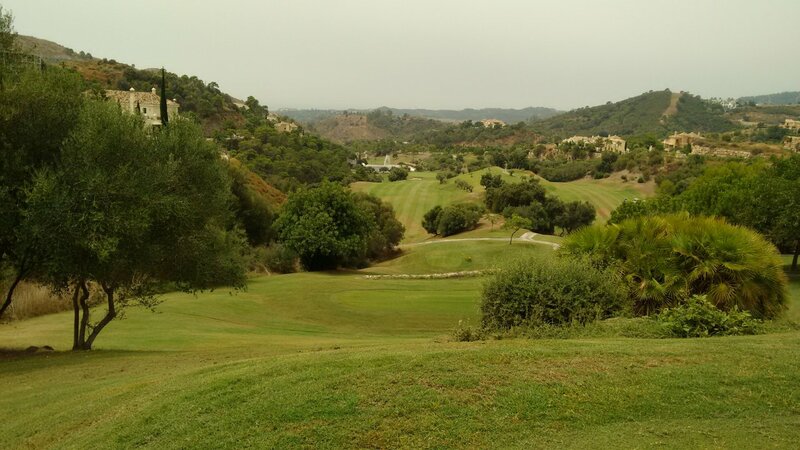 Marbella Club is not far off championship level and is the sort of premium, but relaxed, golf experience I want if the round is costing me quite a bit of money. The organisation seems relaxed and happy, not financially stressed. I have never seen this course very busy. The owners perhaps have the deep pockets to keep the quality of the course up however it does financially. The course is out in the country, so quite a drive to get there. However the reward is a serene, quiet round (no adjacent apartment blocks or roads..) in pleasant countryside. To summarise, I think Marbella Club is really nicely designed to take maximum advantage of its location and provide a "something for everyone" playing experience. 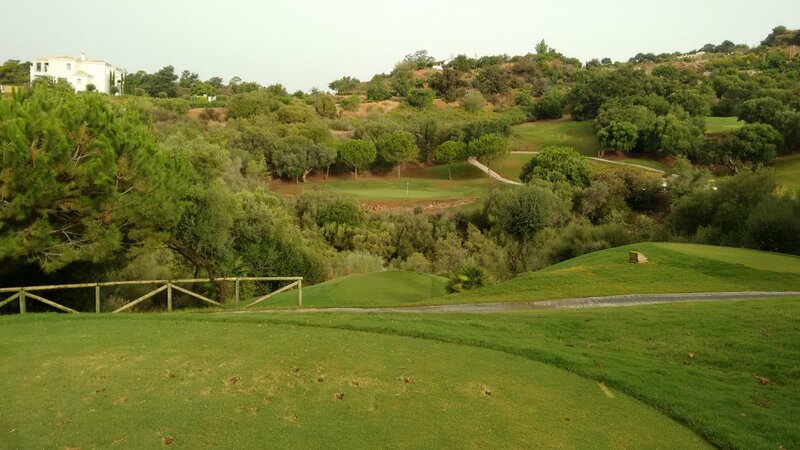 For what I want from golf on the Costa, this course is in my "top 5 to play" among all the courses out here. Very nice – recommended. A good challenge. The medium-sized clubhouse has pleasant terrace to sit out on, and the service there I found good. When you leave this course, if you turn left at the bottom of the clubhouse driveway, there is a (not signposted) sharp turn left up a hill about 100 meters after that. If you accidentally go straight on there, you end up in a small town with narrow windy streets that is a nightmare to exit back to the main A7 road. Basically, when you travel to this course remember the last kilometer, so you can backtrack correctly when you leave the club to return home. All roads in this area are not well-signposted or well-maintained - with the economic slump, the government budget to keep isolated roads in good state of repair is simply not there. Note: There are two different golf clubs on the Costa del Sol with very similar names - Marbella Club (this one) and Marbella Country Club. These are unrelated clubs. Review last updated: August 2015. Number of times played: 4. Marbella Club is represented by the yellow dot. This shows that the course is 'top 10' in difficulty compared to all other courses on the Costa del Sol, but is of average length. An 18-handicap player can expect to go around this course 21 over par.